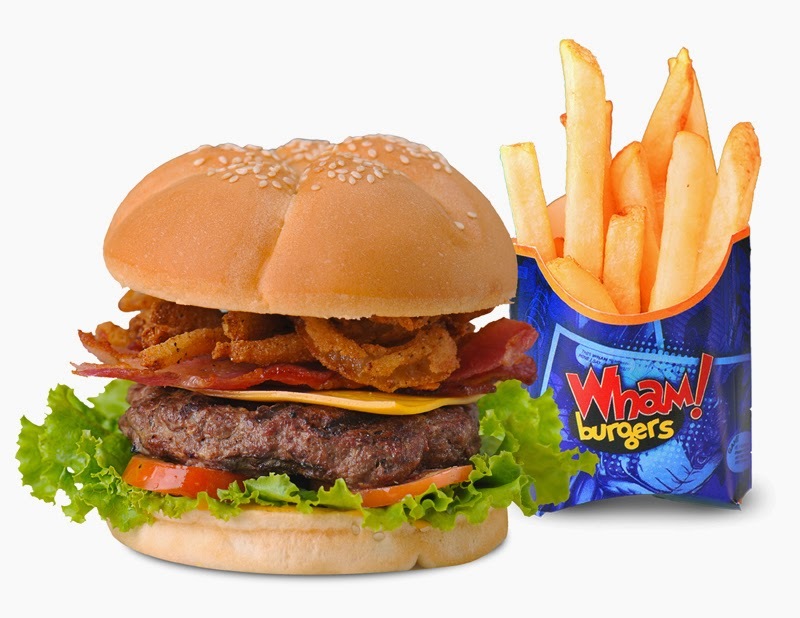 Free Fries Lunch Out Coupon to Celebrate National Burger's Month at Wham! This month of May we are celebrating Burger Month and to celebrate- Wham! Burgers is treating everyone with burger lunch out extra-special with crisp and addicting yummy french fries for FREE! 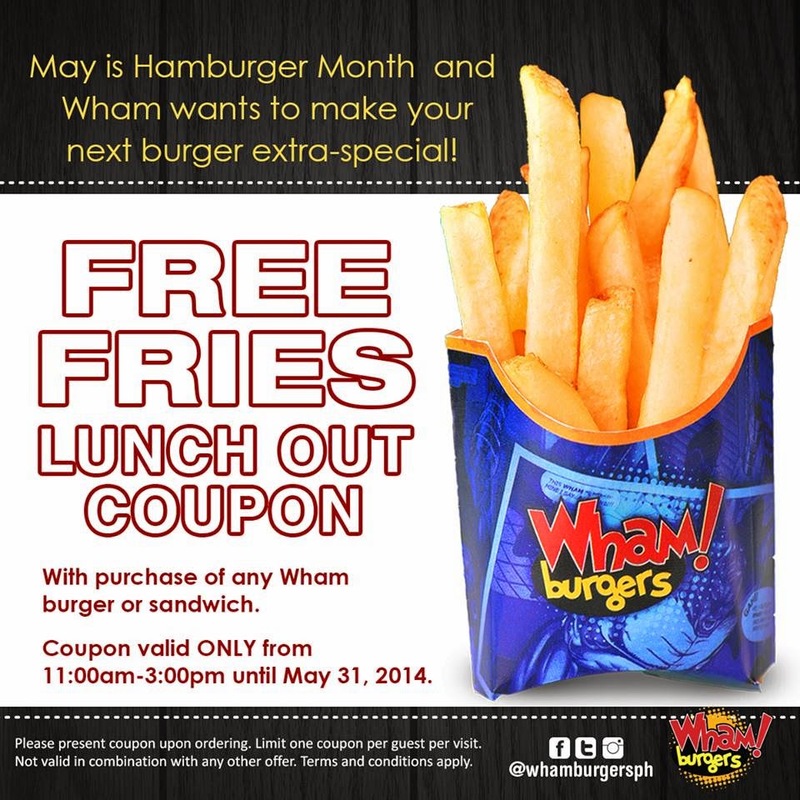 Simply print out the Free Fries Lunch Out Coupon (right-click on the image and select PRINT) and avail this promotion from 11 AM to 3 PM until May 31, 2014 with a purchase of any burger at Wham! Burgers. Spicing up every bite of your favorite burger are the variety of toppings and cheese choices as a savory addition, guaranteed to tweak the taste from something spicy, cheesy or tangy. With burgers and free fries supremely good as this, your lunch out surely calls for the companion of family and friends to fully enjoy Wham's 100% char-grilled beef, the star in this filling and satisfying celebration. I've tried their burgers here at SM north edsa! Super sarap and reasonable price because ang laki! gusto kong i-itry yan pero wala pa dito sa Pampanga,. mukha pa naman masarap ang burger,.